One of the most important duties of a Han leader or governor was to regulate the financial and economic situation in his or her provinces. For example, governors were in charge of multiple counties. This governor had to send annual reports to the emperor, notifying the government of the financial status of the various counties. The importance of this process was to insure that all of the counties had a stable situation, both with finance and trade. Although steps were taken to balance the money situation, taxes and debt often hurt many members of the Han Dynasty. Farmers were hurt the most, having to pay both the regular poll tax, and a heavy land tax. Even though the wealthy citizens also owned much land, they were able to evade the taxes, often paying off officials and tax collectors. 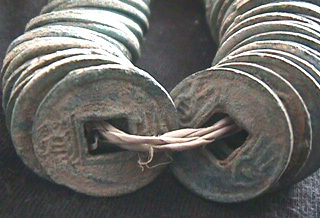 Weights and coins simplified finance in Han China. Before metallic coinage appeared in China, cowrie shells were the primary currency. Individual shells were called Bei and a string of shells was called peng. When metal coins were first introduced, many coins were named after their weight. The idea of cash, or coins in general, was Qian. Specific coins were the Ban Liang and the Wu Zhu. The entire money system was standardized, and the weights and worths of coins composed a uniform system, making daily life much easier. During the Han Dynasty, trade reached an all time high, and the prosperity of merchants flourished. Merchants dealt heavily in grain, iron, and salt. Iron was used both in production of weapons and tools, but also in the production of household items. The problem for the merchants was, even though their business was very successful, they were looked down upon by their superiors. Both Legalists and Confucianists thought of merchants as pests and annoyances to their culture, and because of this put them at the bottom of the social order. 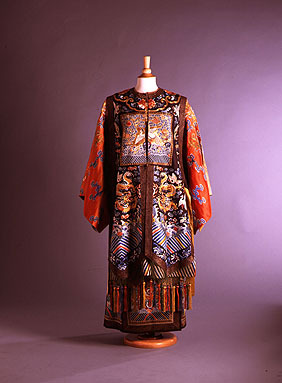 Lastly, because of the success of trade in Han China, craft flourished. Various world superpowers trade large amounts of money for Han silk and pottery, and even Caesar desired Han fabrics. Because of the order of the governors and the success of trade and economics, the financial system in Han China was very stable, and led to a very powerful and profitable way of life. No Author Given. 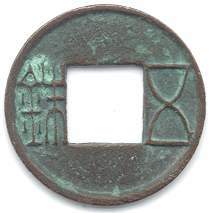 "Weights and units in Chinese coinage." No Complete Work Given. Date Last Updated Not Given. http://larsbo.homepage.dk/weights.html. Last visited March 12, 2003. Upshur, Jiu-Hwa L., Janice Terry, James Holoka, Richard Goff, George Cassar. World History. USA: Wadsworth Group., 2002.